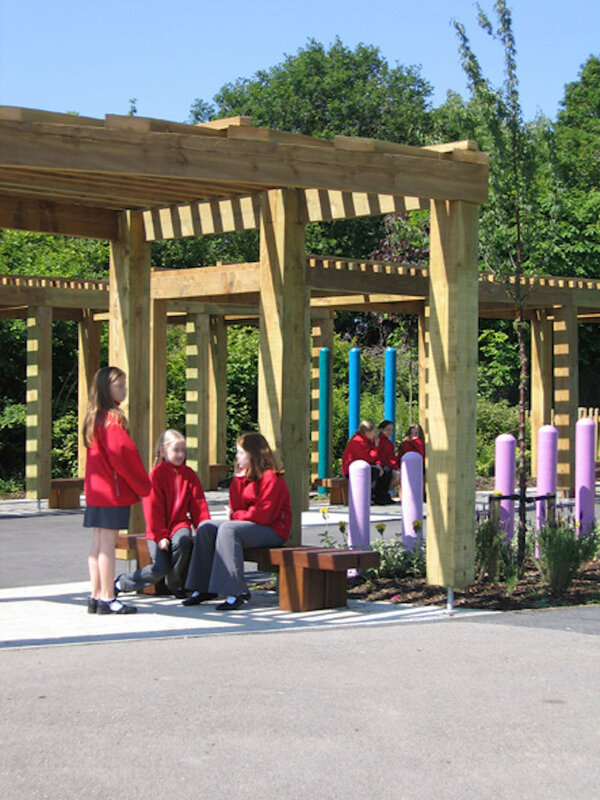 A brief was prepared with staff and children to provide an attractive school playground to compensate for the loss of an existing hard play area, which was built on to provide the school with a new hall. The space was designed to offer areas for children to sit in peace and quiet in dappled shade away from rowdy playground activities. 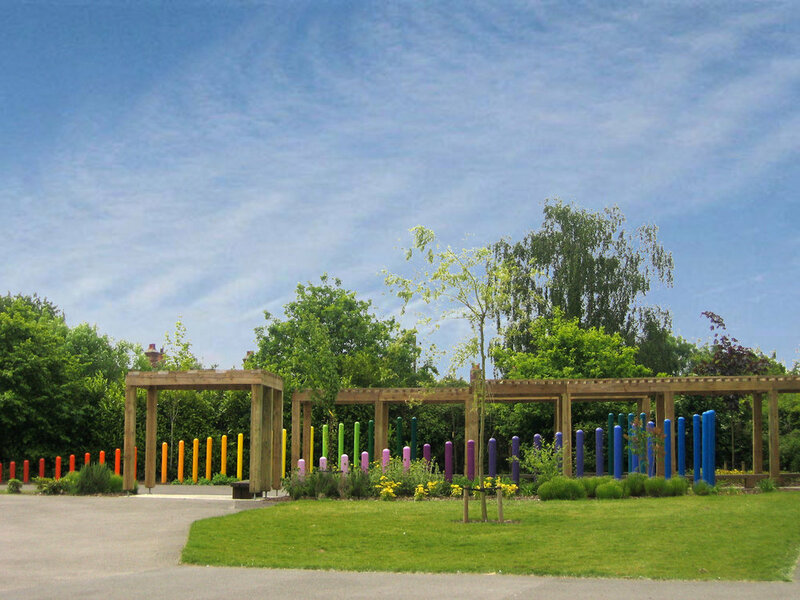 The space is enclosed by a series of vertical timber posts, painted in the colours of the rainbow, with plants chosen to complement the colours of the posts. The school playground has proved to be very popular with children and has become a focal point for parents to gather and socialise at the end of the school day when they come to pick up their children.